Contemporary evangelicals have built a 'salvation culture' but not a 'gospel culture.' Evangelicals have reduced the gospel to the message of personal salvation. This book makes a plea for us to recover the old gospel as that which is still new and still fresh. The book stands on four arguments: that the gospel is defined by the apostles in 1 Corinthians 15 as the completion of the Story of Israel in the saving Story of Jesus; that the gospel is found in the Four Gospels; that the gospel was preached by Jesus; and that the sermons in the Book of Acts are the best example of gospeling in the New Testament. Despite the recent ferocious public debate about belief, the concept most central to the discussion "God" frequently remains vaguely and obscurely described. Are those engaged in these arguments even talking about the same thing? In a wide-ranging response to this confusion, esteemed scholar David Bentley Hart pursues a clarification of how the word "God” functions in the world’s great theistic faiths. The clearest thinking I have heard in ages. Malls, stadiums, and universities are actually liturgical structures that influence and shape our thoughts and affections. Humans - as Augustine noted - are "desiring agents", full of longings and passions; in brief, we are what we love. 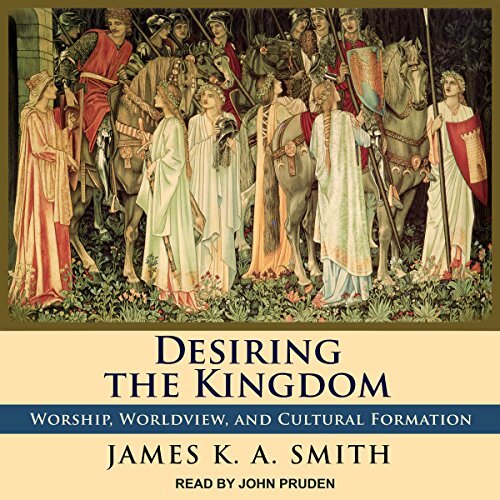 James K. A. Smith focuses on the themes of liturgy and desire in Desiring the Kingdom, the first book in a three-volume set on the theology of culture. He redirects our yearnings to focus on the greatest good: God. Ultimately, Smith seeks to re-envision education through the process and practice of worship. Students of philosophy, theology, worldview, and culture will welcome Desiring the Kingdom, as will those involved in ministry. I am quite late to actually reading Desiring the Kingdom. It was first published 9 years ago. 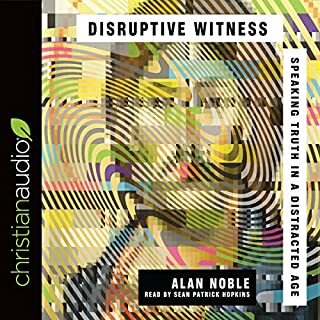 I purchased it 4 years ago, but I didn’t actually read Desiring the Kingdom until this week when I realized that there was a new audiobook out. The basic ideas in Desiring the Kingdom are not new to me. I have read six of Smith’s other books including You Are What You Love twice. (You Are What You Love is intended to be a more popular level introduction to similar ideas.) Several of the illustrations, going to the mall and ball park as an alien anthropologist trying to understand what it is that we as humans are doing is familiar from other books and talks I have heard. But it is worth reading this full book as both a reminder of the ideas and a more full expression. Desiring the Kingdom is attempting to refocus our Christian discipleship away from information sharing toward worship in a broad sense. We are not simply ‘Brains on a stick’ but we are ‘thinking things’. It is not that information and thinking are unimportant, they are very important. But we are not changed simply by being introduced to information. We are changed through the power of worship and by refocusing on what we love. But I also think my church misses the some of the spiritual power available to them because of the way worship is structured. We sing, and we sing good music, but it tends to be a bit loud and bit too focused on the band and not focused enough on the participation. But as a society we don’t sing together often and many visitors don’t know the songs, so I understand. We take up an offering that almost no one actually puts anything in. Because most people that give, give online automatically and we say that we only want people that claim this as their church home to give. We have a message that takes seriously the gospel as a means to transform our lives and seeks to take seriously the scripture, but we don’t read the bible corporately except as an illustration. We do center our worship around baptism. And most services do have a baptism as the central and focal point of the service. But we do not ever have communion (eucharist) as part of our Sunday worship. That is a theological decision that biases concern about taking communion unworthily over the power of the eucharist to draw us both to Christ and to the body of believers around us. We also do not ever have general confession and absolution. This is true of most non-denominational and baptist churches. I have never been a part of a church that did general confession and absolution. But I think this is theologically wrong. We as a group of believers can do few things that I think are more evangelistically oriented than publicly repent and be forgiven. Desiring the Kingdom is not mostly about the local church, it is more about discipleship and education. But an understanding of what happens in the liturgy, ideally, matters to how Smith conceives of discipleship and education. My church and most Protestant churches are mostly oriented around the sermon and therefore oriented around information sharing. The catholic/orthodox focus on the eucharist as the center point of worship helps to draw our awareness to the fact that it is not the information that saves us, but the Christ. It is not that we don’t need to know about Christ and theology and scripture and our ethical requirements for living, but those things are dependent upon our relationship to, and our dependence upon, Christ. What Smith is doing in Desiring the Kingdom is pointing out that our practices matter to how we think. It is not the other way around. We do not mostly change practice because we have new information. If we did then no doctor would smoke and no banker would declare bankruptcy. It is the practices that allow us to shape the processing of the information. I think that most people outside the church expect the church to be at least a little weird. When you do polling about what type of buildings non-Christians prefer, they tend to choose explicitly religious architecture. When people actually are willing to come to a worship service, I think they expect it to be a bit weird. So we should explain our weirdness, but we should actually have some weirdness that has real spiritual meaning. Every service should have confession and absolution and eucharist as central. The message is still there and important, but it is rooted in the spiritual power of the two previous corporate activities of the people and not the skill of the preacher. Communal practices are difficult in a pluralistic world. Many Christians have begun thinking again about withdrawal from culture for the purposes of discipleship (think Dreher’s Benedict Option.) Smith thinks we need to make clear choices that makes us different from the world around us, but not choices that remove us from culture. College students that may focus their learning of social theory by being required to serve their community. Or very locally focused church that intentionally does not remove their students from a local low income, poor performing school, but intentionally makes that local school part of their lives so that the people there are known as individuals. Christianity is not about what we get or about what is normal, but is about Christ being King, and Christ’s kingdom. That means we will always be somewhat at odds with culture and the political world around us. But the orientation of Christ in his incarnation is willingly sacrificing his own comfort and earned place to be with us. One last note, I think that while Smith is not explicitly talking about the splits between racial groups within Christianity (or outside of Christianity) the reality of those divides not being solved by simple information or simple law changes is a strong support to Smith’s basic thesis that communal and individual practice and relationship matters more than information. As I said above, I listened to this on audiobook. The narration was fine, but I really do think that publishers would do better if they allowed their authors to read. No one knows a book better than the author. The author is unlikely to mispronounce words or names (and there was at least one here). Jamie Smith said on twitter that he would have read if he had been allowed to. 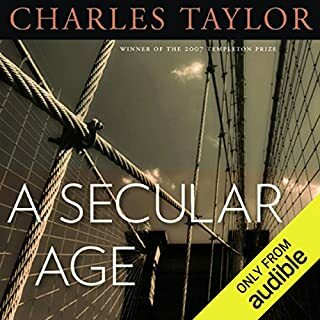 And this would have been a better audiobook if he had been allowed to read it himself. Some good premises, but poor conclusions. Smith seems to see modern America's expression of capitalism to be so at odds with a proper understanding of the Biblical Kingdom that Christians must radically divorce themselves from it. 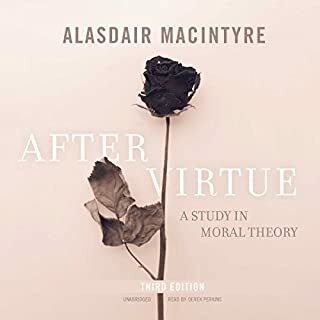 I don't necessarily disagree, but because he doesn't go deep enough in his treatment of the subject, it is unclear whether he believes capitalism on the whole is antithetical to Gospel living (if so, that is where we part ways), or only the specific excesses of modern society in the West. Further, many of the problems in Christian education, worship and practice that Smith identifies are real enough, but his solutions (sparse as they are) seem untenable. I'm not sure if I'll continue the series, but there's enough baby in the bathwater here that I don't regret reading this book. 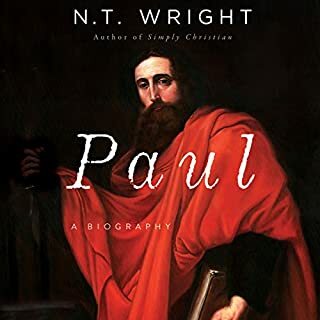 Certainly, his basic argument that humans are primarily desiring or worshipping beings that are every day formed by the patterns of cultural liturgies, and so must undergo counterformation by means of Biblical, Kingdom desiring liturgy, is worth thinking about long and hard. Where that leads me, it seems, is pretty far off from where it has taken Smith. great food for thought on how culture shapes us even without our conscious awareness of it. 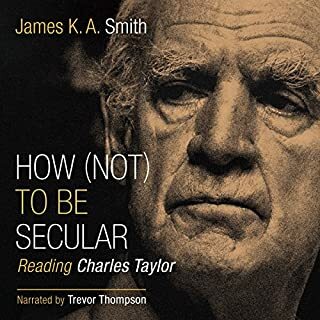 Smith does a masterful job of demonstrating that people more often act out of their loves and desires than out of their beliefs and knowledge. The key to transformation in the Christian life is not merely more information or an accurate worldview but rightly formed desires. 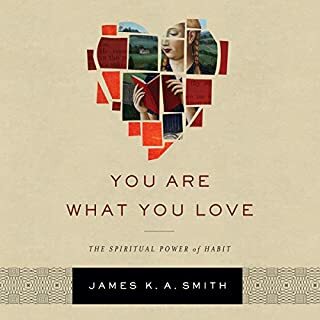 For a lighter take on the same material, listen to Smith's You Are What You Love: The Spiritual Power of Habit.